« Should Addiction Be Criminalized? Nestar John Charles Russell is publishing an article, titled “Milgram’s obedience to authority experiments: Origins and early evolution.” Here’s the abstract. Stanley Milgram’s Obedience to Authority experiments remain one of the most inspired contributions in the ﬁeld of social psychology. 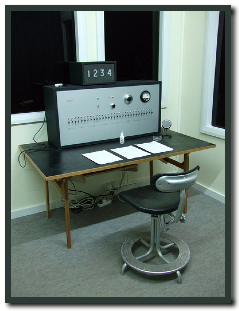 Although Milgram undertook more than 20 experimental variations, his most (in)famous result was the ﬁrst ofﬁcial trial run–the remote condition and its 65% completion rate. Drawing on many unpublished documents from Milgram’s personal archive at Yale University, this article traces the historical origins and early evolution of the obedience experiments. Part 1 presents the previous experiences that led to Milgram’s conception of his rudimentary research idea and then details the role of his intuition in its reﬁnement. Part 2 traces the conversion of Milgram’s evolving idea into a reality, paying particular attention to his application of the exploratory method of discovery during several pilot studies. 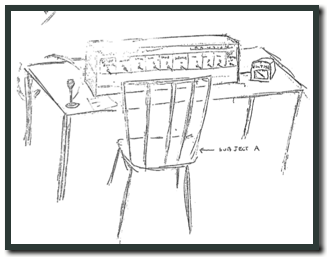 Both parts illuminate Milgram’s ad hoc introduction of various manipulative techniques and subtle tension-resolving reﬁnements. The procedural adjustments continued until Milgram was conﬁdent that the ﬁrst ofﬁcial experiment would produce a high completion rate, a result contrary to expectations of people’s behaviour. Showing how Milgram conceived of, then arrived at, this ﬁrst ofﬁcial result is important because the insights gained may help others to determine theoretically why so many participants completed this experiment. This entry was posted on April 3, 2010 at 12:01 am	and is filed under Abstracts, Classic Experiments, Social Psychology. Tagged: obedience, situationism, Stanley Milgram. You can follow any responses to this entry through the RSS 2.0 feed. You can leave a response, or trackback from your own site.